A whiskey glass can make or break your whiskey presentation - even if it is you alone in your den with a book in hand. A good whiskey needs room to breathe, and the oak and smoke need to waft your senses and help you truly explore the depth of a fine whiskey. While drinking wine from the bottle is acceptable, and kicking back a beer can be done from the can or bottle too, whiskey is not something you ever touch in the bottle itself. It is all about the presentation. First, clear glassware is critical. A nosing or tasting glass is best because they are clear and have a full top so that you can “nose” or smell the whiskey properly. These are often referred to as Old Fashioned glasses, and they resemble a short-stack tumbler with a solid base and wide brim. Our experts at SipDark are partial to the tulip-shaped copita nosing glasses too. They have a narrow top and wide bowl, which enhances the flavor profile of the whiskey – by giving it adequate breathing space. Then, the aromas are funneled into your nose with ease. Small brandy sniffers are acceptable, but not ideal for whiskey tasting. For proper balance, the Glencairn Glass is ideal. Glencairn glasses are specially designed to enhance your whiskey sipping (not gulping) experience. They are specifically designed in consultation with countries that have refined the art of distilling fine whiskey. All their glasses have the perfect shape to boost nosing function and ensure the liquid is delivered to your tongue with just the right hints of oak, smoke, chocolate, or fruit. To flex your savvy whiskey skills, we recommend getting a whiskey glass based on the type of whiskey you are serving up. Got a fine Canadian? Sipping on Scottish whiskey? The glass that is angled for nosing and tasting your whiskey makes a difference. 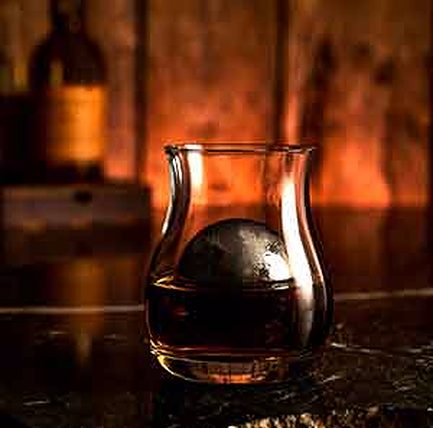 Browse and play around with options by checking out SipDark’s Glencairn Glassware collection. If you are a trend follower (or setter), then you know about designer whiskeys coming into the market. These designer varieties are made by distilleries that only create small batches, and for a hefty price, you will get a whiskey that comes from barrels made from the finest wood, using the purest water, and only the finest barley. Each barrel is expertly monitored through each phase of production, and the price tag to match the time-consuming, high-quality that spawns from such detail. To serve a designer whiskey properly, and to get the most out of the thousands you likely paid, always be sure to have a proper whiskey tasting glass on hand. It does not matter what whiskey glass you are sporting or if you have an exceptional collection of testosterone-boosting whiskey bullets if you cannot taste a whiskey the way it was intended to be enjoyed. Use the two-finger rule: Pour to the equivalent of two fingers on the side of your glassware and no more. You can refill as much as you like, we encourage it, but for tasting, you need just the right amount of air to glass to whiskey. Look first: Look at the whiskey and take in the artwork. You can learn plenty from the color swishing around in the glass. 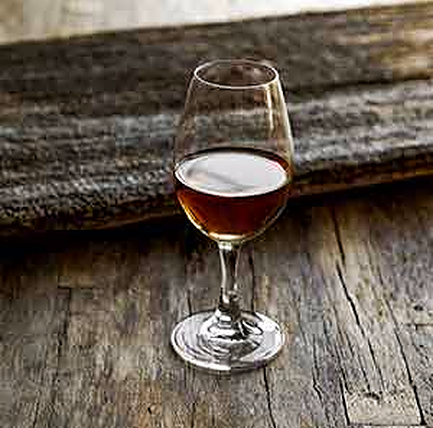 The older the whiskey, the darker it is because it soaks up color from the oak barrel. Younger whiskeys will be very bright and caramel in color. Nose the glass: Smell the whiskey, and you will notice more than you will ever taste on your tongue. Gently raise your glass up to your nose until the aroma naturally creeps its way into it. Think about everything you smell, because those are indicators of what you might taste. Sip gently: Sip just enough to coat the entire tongue and allow it to linger for a moment before swallowing. Is it thick? Does it taste like it smells? The finish: All whiskeys have a finish, and that finish is the taste that comes after you swallow. The lingering notes, such as a lingering floral or fruity note from a Canadian whiskey or the smoky flavor of a real Tennessee bourbon. Whiskey, Primarily a Single Malt, Can Be Quite Blunt. It can overwhelm your senses, and if you are new to the whiskey game, you might notice nothing other than a burning sensation. The solution? Add a splash (or two) of water. 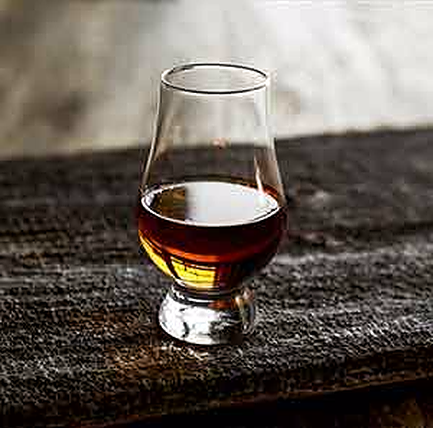 While some would scoff at the idea, whiskey tasters add a splash of water to their whiskey (just a few drops at a time) to lower the alcohol level, reduce the numbing effect on their palate, and allow them to savor the flavors that distillers imparted on their finest single and blended whiskeys.